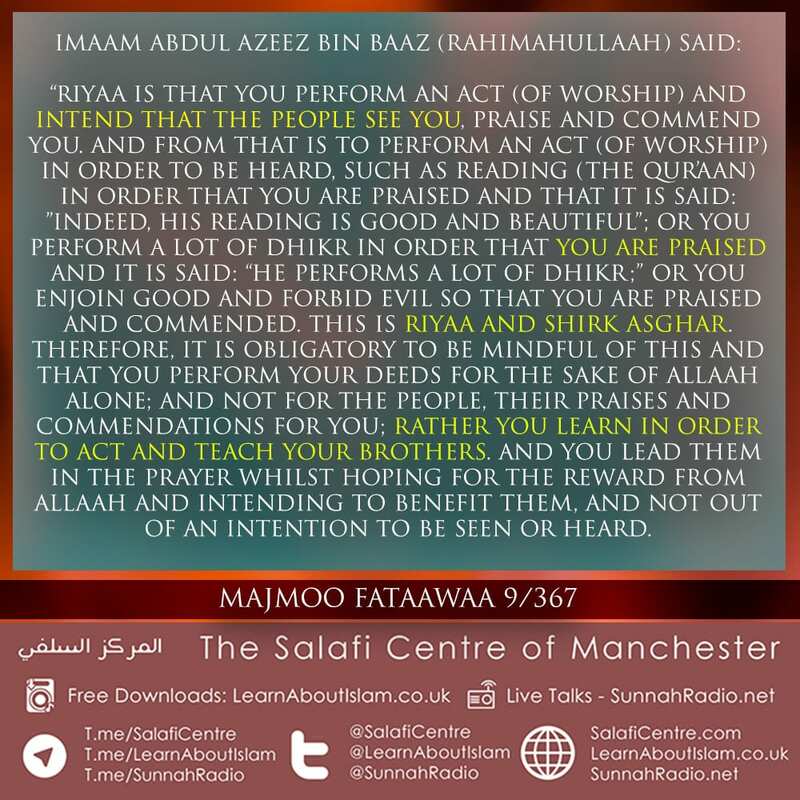 Imaam Abdul Azeez Bin Baaz (rahimahullaah) warns against Riyaa! “Riyaa is that you perform an act (of worship) and intend that the people see you, praise and commend you. And from that is to perform an act (of worship) in order to be heard, such as reading (the Qur’aan) in order that you are praised and that it is said: ”Indeed, his reading is good and beautiful”; or you perform a lot of Dhikr in order that you are praised and it is said: “He performs a lot of dhikr;” or you enjoin good and forbid evil so that you are praised and commended. This is Riyaa and Shirk Asghar. Therefore, it is obligatory to be mindful of this and that you perform your deeds for the Sake of Allaah alone; and not for the people, their praises and commendations for you; rather you learn in order to act and teach your brothers. 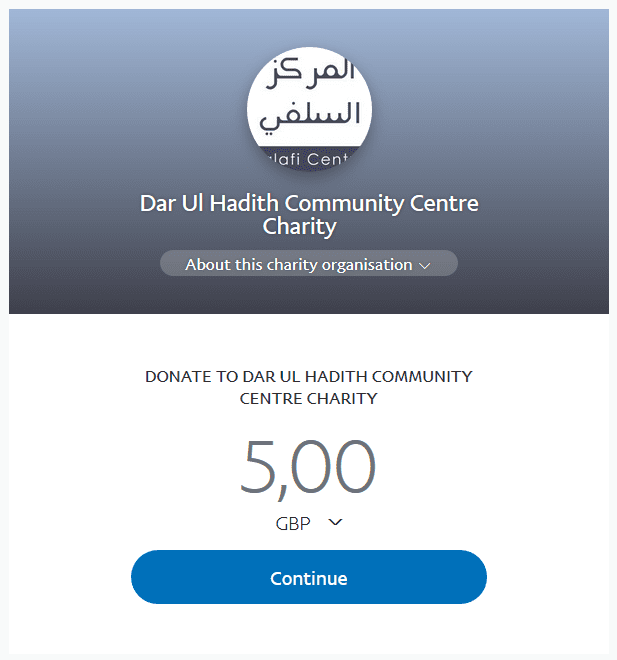 And you lead them in the prayer whilst hoping for the reward from Allaah and intending to benefit them, and not out of an intention to be seen or heard.